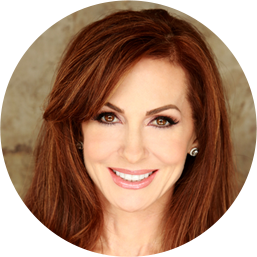 Tana Amen:	The Brain Warrior's Way podcast is also brought to you by Brain MD, where we produce the highest quality nutraceutical products, to support the health of your brain and body. For more information, visit BrainMDHealth.com. Welcome to the Brain Warrior's Way podcast. Welcome back, we are on our last episode of Suicide Awareness Week. What are we talking about for this last episode? We're talking about the social and the spiritual connections? Dr. Daniel Amen:	There you go. Dr. Daniel Amen:	We talked about social. Is there a spiritual component to suicide? Tana Amen:	Oh, I would think there must be. Tana Amen:	And they're all similar. Dr. Daniel Amen:	Where they see the light. Well, they're all similar except for people who kill themselves, except for people who have suicide attempts. For them, generally the research is not pleasant, that what they see in that interim state is Dante's fourth stage of hell. Tana Amen:	Oh, I've never heard that. Dr. Daniel Amen:	Where they see their problems go over and over and over again. So I, for all of my patients, I want to know why are you on the Earth? What is your sense of meaning and purpose? Some people think we're just here by random chance and that our life has no meaning. That we evolved out of the amoeba from the big bang explosion and that there is no intelligent design. There's no God. Tana Amen:	It seems like it would be a little easier to kill yourself if that's what you believe. Tana Amen:	Unless you've got really strong social connections. Dr. Daniel Amen:	See, it's really easy to kill yourself if your brain's not right, your mind is infested with ants, you're lonely, and you have no spiritual connection. The things that prevent suicide is you have, and your care about your brain, you love your brain. We call it brain envy around here. That your mind is accurate and clean in its thoughts. It's not loaded with ants. That you're connected socially to other people, and you have a deep sense of meaning and purpose. Tana Amen:	We talked about, I mentioned this briefly in one of the other episodes, that when I was really, really depressed, the reason I didn't contemplate suicide, my biology was a mess. My psychology was a mess, but I had my mom that I worried about. But I also grew up very Christian in that that's the one unforgivable sin, right? That's the one thing you can't do. Dr. Daniel Amen:	I don't know that suicide is the unforgivable sin. Tana Amen:	But that is what you're taught. Dr. Daniel Amen:	Yes, we are taught that. Tana Amen:	We're not here to debate that. That's what I believed. I believed that that thought, and so my spiritual beliefs at the time really kept me like, oh you can't even start to think that. You can't go there. You've got to do something else. Dr. Daniel Amen:	Right, and as Catholic, growing up Catholic, it was very frowned upon. Tana Amen:	My point being that your spiritual beliefs can make that difference. Dr. Daniel Amen:	No question. Having a deep sense of meaning and purpose, and I'm really curious for those of you that are listening. What do you think happens to you when you're dead? Do you think it's all darkness? Tana Amen:	That's a good question. Tana Amen:	Then I start to get really sad because I think what about the people who are mentally ill. What if you are schizophrenic? What if you have had a bad head injury? That makes me really sad. Dr. Daniel Amen:	Let's talk about our friend Byron Katie. We both love her. She's amazing. She wrote a book called Loving What Is. She teaches seminars around the world. Before she had her spiritual awakening, and for her it wasn't Christianity. Dr. Daniel Amen:	Well, but it was really ... She was a nut. Tana Amen:	She was a nut. Tana Amen:	She was in a halfway house. Dr. Daniel Amen:	She has an eating disorder. Dr. Daniel Amen:	She was an alcoholic. Tana Amen:	She woke up in a halfway house with a roach crawling across her foot when she had this revelation. Dr. Daniel Amen:	Right. And she realized, this is in 1986 in Barstow, where I actually lived for two years. She woke up in a halfway house and realized that when she believed her thoughts, she suffered. And when she didn't believe her thoughts, she didn't suffer. Tana Amen:	Because she realized her thoughts were ridiculous, like they're tainted. Dr. Daniel Amen:	Which is part of the psychological circle. But then she got so motivated to share the epiphany that she had and became a best selling author and an amazing seminar leader. This is a purposeful girl. When I scanned her after I had met her, her brain looked terrible. I'm like, "If you kill someone, I could probably get you off death row," because her brain was that bad. Tana Amen:	That's a terrible thing to say. Dr. Daniel Amen:	I thought it was an awesome thing to say. But she wasn't suicidal and was one of the most peaceful people that I've met. Dr. Daniel Amen:	Because her psychological circle was good, her social circle was good, and her spiritual circle was amazing. So even though she had bad biology, because of her sense of meaning and purpose, she was no more gonna kill herself than I would. That's what we want you to hear. I think what you brought up in the last one is so important because 20% of teenage girls meet the criteria for major depression. That we have had a dramatic increase in suicide across the United States over the last two decades. Why? Because it's all about me. It's all about social media and how I compare to this person or that person, and it's not about what good can I do in the world for other people. It's how do I compare to the Kardashians, that determine whether or not I want to live or die. And that is so toxic. Tana Amen:	But it's not always girls. Dr. Daniel Amen:	Increasing the risk of depression. But it's more, it's twice as much in girls as it is in boys. This is an interesting statistic we haven't talked about. The girls actually attempt to kill themselves way more than guys. 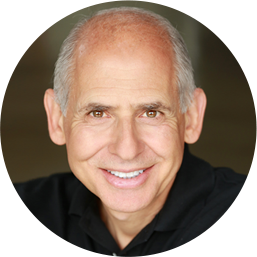 Dr. Daniel Amen:	Twice as much as girls. Tana Amen:	They succeed, right. Dr. Daniel Amen:	Because guys tend to not cry for help. Dr. Daniel Amen:	And they choose more violent means. A girl's more likely to overdose where a guy's more likely to shoot himself. Tana Amen:	Do you think that the way that we ... I know we've got one study that says this, but I want to know from your experience. The way that the media portrays it or the way that it's on social media now when kids kill themselves. Does it almost glamorize it, or is it because if there's a kid, now that we've got so much social media, if someone's having those thoughts already, and then they see it over and over again that someone's done it, does it reinforce, oh I should do that too? What is the reason that it happens in epidemics? Dr. Daniel Amen:	You've heard me say that people are contagious. Tana Amen:	Oh that's why you did that. Dr. Daniel Amen:	Just holding the hand of your partner, you begin to take on their breathing rate, their heart rate, even their brain wave patterns. People are contagious. If you're watching, so you follow this celebrity and that celebrity kills themselves, there's a part of you that's relating to them, and you're like, "Oh well maybe I will go out in that kind of blaze of glory." Tana Amen:	Or if you see someone, like the kid who killed himself at the high school that my daughter used to go to and he left a bunch of letters and you see all the attention that got. And it's already been in your head. Dr. Daniel Amen:	And your brain because suicide is the 10th leading cause of death in all of us. It's the second leading cause of death in teenagers, behind car accidents. Tana Amen:	You're not thinking long-term consequences. Tana Amen:	It's so heavy and so good. Dr. Daniel Amen:	It's so special. And in my new book, Feel Better Fast and Make it Last, I write a lot about some of the main principles that Dr. Frankl [crosstalk 00:10:49]. Tana Amen:	We did a podcast with someone who worked with his organization and knew him personally. Dr. Daniel Amen:	With Jeff [Saige 00:10:53]. Tana Amen:	So amazing. That book was just, I remember reading that book a long time ago. It's a great book. Great book. Dr. Daniel Amen:	If you want to prevent suicide in yourself or in your kids or in your community, let's not make it just a simple answer like stop playing video games. Although, stop playing video games. Tana Amen:	Get off social media so much. Dr. Daniel Amen:	There are biological factors, like head trauma or even vitamin deficiencies. A B12 deficiency is associated with depression and psychosis. There's psychological factors like believing every stupid thing you think. There's social factors, hanging around with people who have that kind of behavior or people who bully you or ostracize you. And there's spiritual factors. Intervening in any one of those circles can help prevent suicide. Intervening in all four of the circles really helps to get you well. Tana Amen:	Just to end this, one last thing I wanted to share is one of our favorite family movies we watched like probably eight times, Soul Surfer. I love the story of Bethany Hamilton and how she lost her arm in a shark, you know she's a surfer. She lost her arm in a shark attack. She went through this really hard time of recovering and getting herself back, and she became depressed. But what she did is she went, and she went on a mission trip to Thailand. She helped people much less fortunate. It really shifted her thinking. She did that thing that's bigger than herself. She got out of her own head. She went and saw and helped people who were suffering. I love the part of the movie where she says, "I don't need easy. I just need possible." It might not be easy, but there is hope out there. It's possible. One of the best ways to help yourself is to go help others. Dr. Daniel Amen:	Stay with us. Thank you for listening to The Brain Warrior's Way podcast. 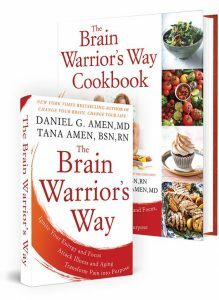 Go to iTunes and leave a review, and you'll automatically be entered into a drawing to get a free signed copy of The Brain Warrior's Way and The Brain Warrior's Way Cookbook we give away every month.